The Tuition and Boarding Fees at Newington College for 2019. Enquiries regarding fees or accounts should be directed to the Finance Department on 02 9568 9333 (international callers dial +61 2 9568 9333). While it is expected that there will be no change to the Fee Schedule during the course of the year, Council reserves the right to make alterations, in the event of unforeseen substantial changes in costs. You can also download a print-friendly copy of these details. Making a payment is easy with our Westpac-operated Online Payment portal. When brothers are attending the College at the same time, the eldest is charged full fees with a: 10% reduction for the second brother; 15% reduction for the third brother; 25% reduction for the fourth and subsequent brothers (except when provision for a bursary or scholarship applies). When a boy is registered for possible future enrolment, a Registration Fee of $250 (incl. GST) is payable. This amount is not refundable. 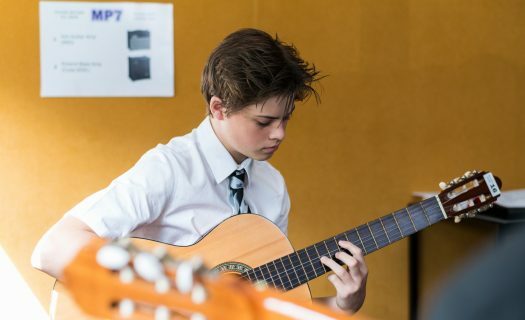 A non-refundable Enrolment Fee of $4,500 is payable before a boy’s enrolment can be confirmed. Boarding students are also required to pay a refundable deposit of $1,000. Educational expenses including tuition are generally exempt from GST. The College reserves the right to charge GST for goods and services provided where exemptions do not apply. Annual tuition fees will cover up to $1,000 of the net cost to the College for TVET and NSW School of Languages courses when the course is taken as part of a student’s normal curriculum. TVET courses are currently supported by funding from the AIS. This funding is not guaranteed, but, if received, will be applied to reduce the net cost of TVET courses. In addition to the tuition fees, an excursion and amenities levy for Years K–6 is charged to cover excursions and activities. The levy does not cover school camps and overnight excursions which will be charged separately, if applicable. This charge varies depending on the activities conducted by the Preparatory School. It will be included in the first invoice of the school year. In appropriate circumstances, the College may agree to credit up to 50% of tuition fees where a boy is absent for four weeks or more at a time because of illness or injury. Any request for such a credit should be directed to the Head of Corporate Services and should be accompanied by a medical certificate. Final determination of any such request will be at the discretion of the Headmaster. Subject to the next clause, a full term’s notice must be given in writing to the Head of Campus before any student is withdrawn or before his status is changed from boarder to day student. The notice must be given before the first day of the student’s last full term. If this notice is not given, a terms’ fees will be charged and, if the student is a boarder, a quarter year’s boarding fee will be charged. This amount is a genuine pre-estimate by the College of the loss that it would suffer if the required notice is not provided. Two terms’ notice must be given in writing to the Head of Campus before any current Year 6 student is withdrawn after the beginning of Term 2. The notice must be given before the first day of the student’s second last full term. If this notice is not given, two terms’ fees will be charged. This amount is a genuine pre-estimate by the College of the loss that it would suffer if the required notice is not provided. 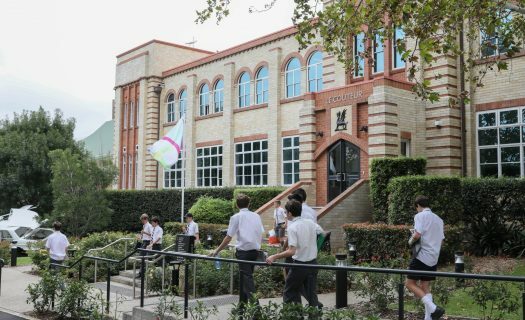 Click here to read the Newington College policy for Fees in Advance. Enrolment Fee: $6,200 per day boy or $8,100 per boarder. • FFPOS fee of $6,083. If parents of Overseas Students with Temporary or Special Residence leave Australia, their sons will be treated as FFPOS. They will need to pay an extra $1,700 Enrolment Fee for each day boy or an extra $3,600 Enrolment Fee for each boarder. These payments are refundable after a student leaves the College and the fee account is settled. The College will issue all fees in nine monthly instalments from January to September (inclusive). Invoices will be issued on the 7th of each month and payment is due on the 16th of that month, or the next business day where the 16th falls on a weekend or public holiday. If applicable, the FFPOS fee will be charged on the January invoice. The College’s preferred method of paying fees is by direct debit from a nominated credit card or bank account. Other options of payment available are BPay, Credit Card (MasterCard, Visa and American Express via the College website) and POSTbillpay (cash, cheques and EFTPOS at Australia Post branches). Please note the College’s Finance Department cannot process payments over the phone. Payment by credit card will attract a 1% surcharge. Late payment may incur an Administration Fee of $125. A student’s enrolment may be discontinued if fees remain unpaid. Similarly, a student will not be allowed to participate in a non-compulsory school event (such as a tour) unless tuition fees have been paid.